Kaia helps Koltin Mason, a pediatric patient from York, get comfortable with the radiology equipment before his appointment in pediatric radiology. Four-year-old “Jake” wails as he crumples into a corner. Ten feet away looms a large, box-like machine, a CT scanner. For the last half hour, Jake&apos;s parents, a Child Life specialist and a CT technician at Penn State Children&apos;s Hospital, have been trying to both comfort and convince Jake to lie down on the scanner&apos;s table at the machine&apos;s center. “Look,” they say softly, “the table goes in and out of the tunnel like a train.” Their coaxing is not soothing Jake. 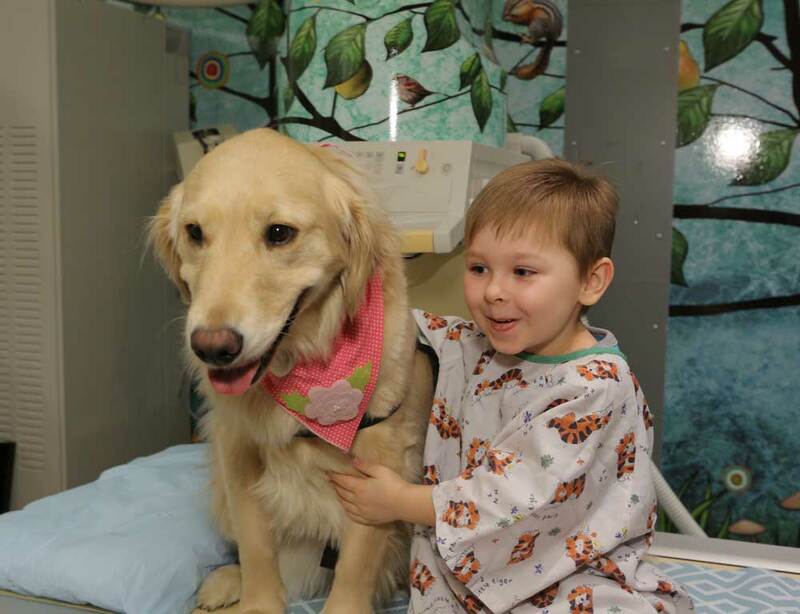 Will Jake, like other young children, require anesthesia before they can perform this test? Read more on this Penn State Medicine story.